Urban Adventure League: Broken bikes and (almost) broken hearts. Broken bikes and (almost) broken hearts. Thursday was a nice day around these parts, but I didn't plan on taking a ride as the initial forecast wasn't promising. However, I decided to do some bike maintenance. I wanted to do a few more things to the Crested Butte, but there was a couple things I also wanted to do to the Raleigh Wayfarer. So I got the portable bike stand out and put the Wayfarer in. And that's when I noticed something horrible. The seatstay on the right side had separated from the set cluster. No no no no no! Why? And what could have done it? Did my futzing with the stand's clamp somehow torque the seatstay away from the cluster? Did it break earlier and I had not noticed it? Come to think of it, I had been getting a weird noise for over a month, something I attributed to pedal bearings. Could this have been it? Well, what's done is done. I promptly emailed the Raving Bike Fiend with photos. He suggested that the break could be fixed with a simple weld. But in my head, it was over. I had already decided the Wayfarer was done. I didn't want to attempt to fix this frame. To me the answer was clear: transfer the wheels, dynamo lighting setup, rack, and some other items over to my Rudge Sports. I've had the Rudge for over a year, but haven't ridden it that much because of steel wheels and lack of fenders. Now I would affix the good stuff from the Wayfarer and have a perfectly rideable bike. It would have a sportier setup than the Wayfarer, but that's okay, especially since I already had a perfectly good upright riding setup with the Raleigh Crested Butte. So full speed ahead with Rudge Sports 2.0. You might be thinking: Why the detachment? Didn't the Wayfarer mean a lot to you? Well, yes. The Wayfarer was a great bike. It got me around for over two years. And it was my introduction into the world of British bikes. It started an obsession that has carried on to this day. But it's an object. While it is an object that has had special meaning to me, there are many other objects pretty much like it (like the Rudge). It served me well, but it's time to move on. In retrospect, it's fitting that the Rudge Sports wasn't ready for the Three Speed Ride on Sunday. This gave me one last good ride with the Wayfarer. It's a fitting end to a great bike. Now, it's onto the Rudge. What's it like riding on the Rudge? With the saddle up high and those old bars with the equivalent of the drops as their single hand position, it just doesn't like like a comfortable ride. Now I don't insist on an upright position all the time and am cool with drops but I sure like to be able to mix it up! It's a bit more of an "aggressive" and sporty ride, but still rides good. If I didn't already have another upright bike (the Crested Butte), I would consider doing up another upright three speed. But for now, I'm going to try the pseudo path racer aesthetic on the Rudge Sports. I have other bikes for riding longer distances, and if worst comes to worst, I can always flip the bars on the Rudge to make it upright. You are wise to objectify your possessions. Me, I am such a raging anthropomorphist that I name and cherish everything I own except my microwave oven, Murph. Wait...what just happened? Maybe these objects are naming themselves! Who can tell? Yeah, I don't really know what caused the break. It could have been my own klutziness in the stand, it could have been something else. If I fix the frame, that will always be in the back of my head, and I'd probably worry about breaking the frame again, albeit somewhere else. For my peace of mind, I should just let the Wayfarer go. And I haven't figured out what to do with the frame yet. This is a sad moment indeed. But your decision makes sense. I understand the challenge of giving up on a bike (frame), but there are times where it is just the right thing to do. I wonder if you couldn't drill through the broken seat-stay, seat tube, seat-post (make sure to set it exactly how you want it first) and intact seat-stay with say a 5mm drill bit and then clamp the whole lot together with a piece of studding, a few of those cup and bump washers you get with brake pads and a pair of nuts. Probably. But if I were to fix it, I'd go the welding route. 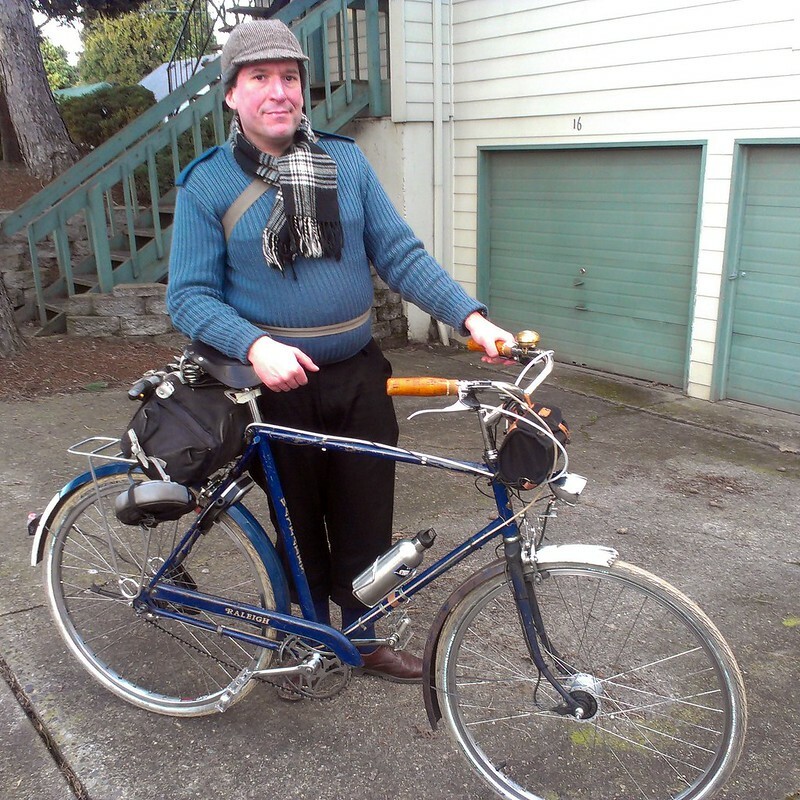 I admire your composure (I'm having trouble parting with the frame of my old BSO commuter).On the other hand, and without meaning to slight the Wayfarer at all, the Rudge is a much cooler bike, especially the way you've set it up. It deserves better wheels and to be ridden lots. On the subject of path racers, there is a Pashley Guvnor for sale on our local Kijiji for a VERY reasonable price. Somebody else had better buy that thing soon or my head (or wallet) is going to explode. I definitely felt worse when the frame on my Centurion Accordo cracked five years ago. This is probably because it was my first true "nice" bike and I really got into touring with it (Pacific Coast.) 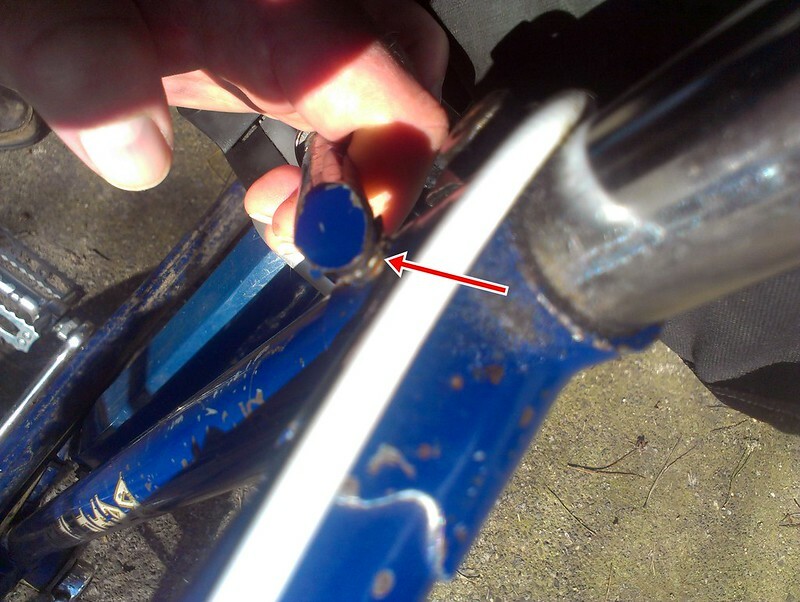 Ironically enough I thought about getting it repaired, but the crack was much worse than what happened to the Raleigh, a crack on the seattube at bottom bracket. But after a day of moping, I moved on and decided to buy a better bike, one more suited for touring. And that's where the Long Haul Trucker came in. And believe me, I understand. The Rudge is a better and cooler bike. 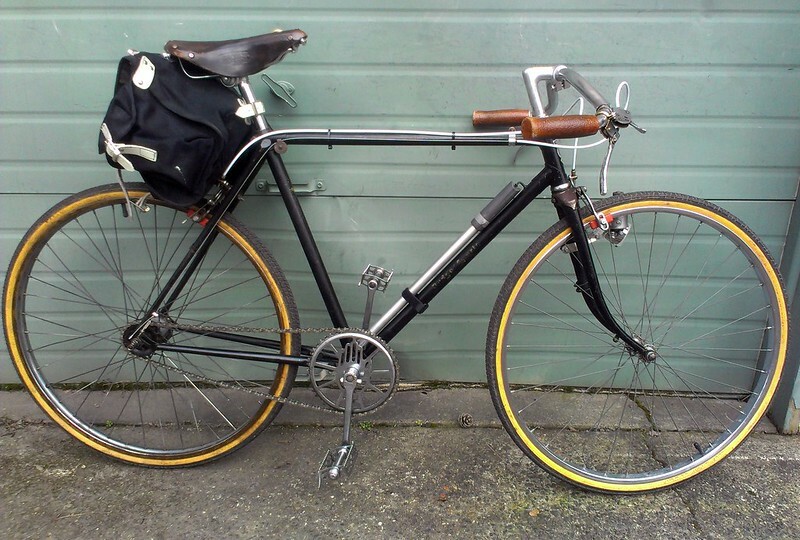 Even though the Wayfarer and Rudge Sports are fairly similar (Raleigh manufactured three speeds) you can see how much better built the Rudge is. It's a 60 year old survivor and deserves a better fate, so now it has a chance to truly shine! $500 for a Guv'nor? Not bad.